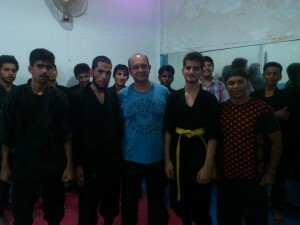 F.S Ninja Academy conducted Belts tests under the supervision of Black Belt Ubaid Ullah who is Incharge of Belt Promotion Tests. The videos and photos of the test will be uploaded here too, till that time they can be viewed on Pak Ninjas and F.S Ninja Academy Islamabad, Pakistan facebook pages and groups. The students performed brilliantly in their belt test and made the academy proud.